Wallace Engineering provided structural engineering services for the renovation of the H.A. 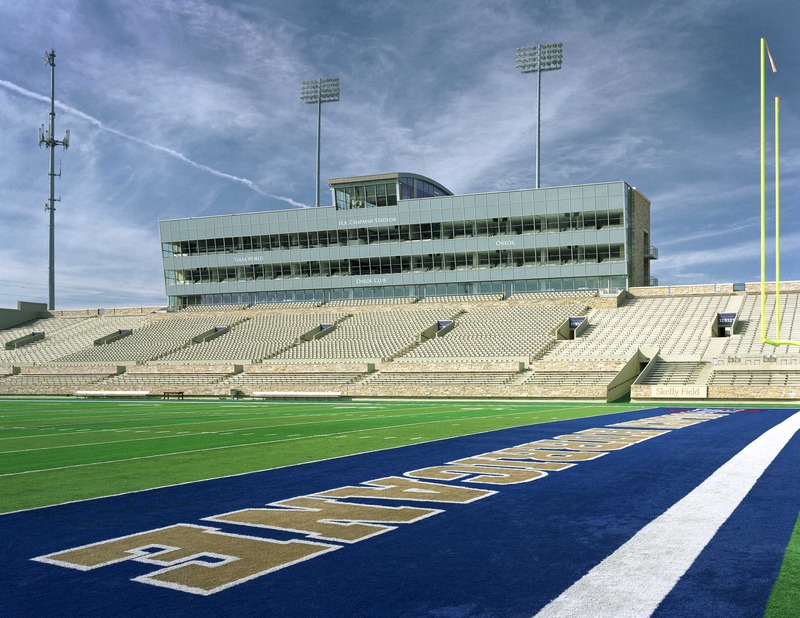 Chapman Stadium at the University of Tulsa. The facility, a cast-in-place concrete structure previously known as Skelly Stadium, was originally constructed in 1930. 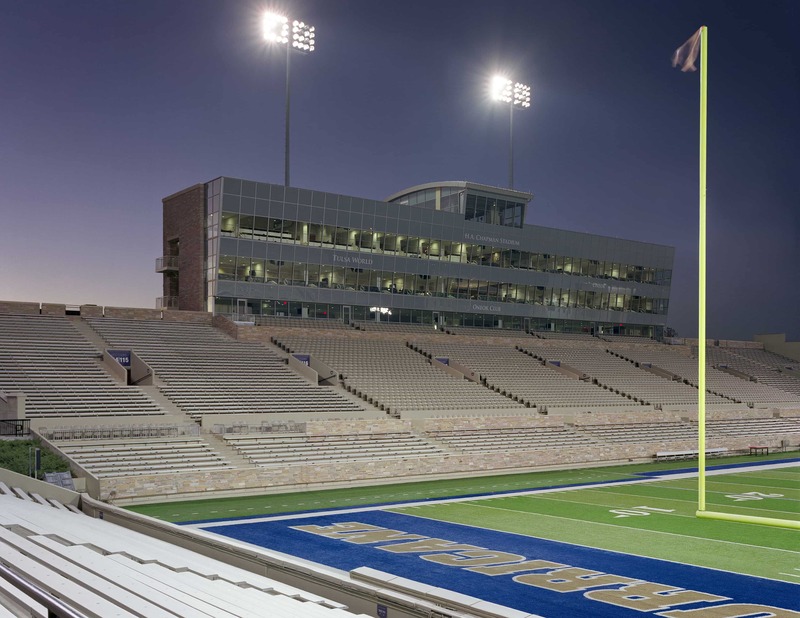 The stadium was expanded with a new steel structure on the west side in 1965, which expanded the seating to a capacity of just over 40,000. 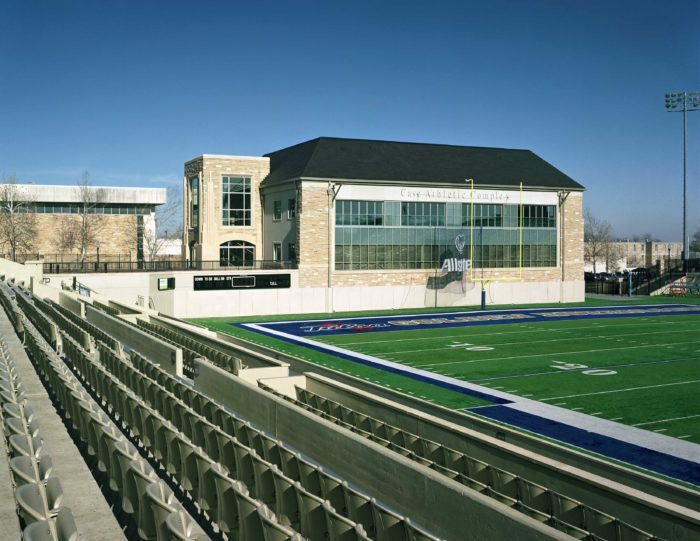 The latest renovation demolished the west steel structure and added a new club level, suites, press box and concession/restroom facilities, while also renovating the entire facility. 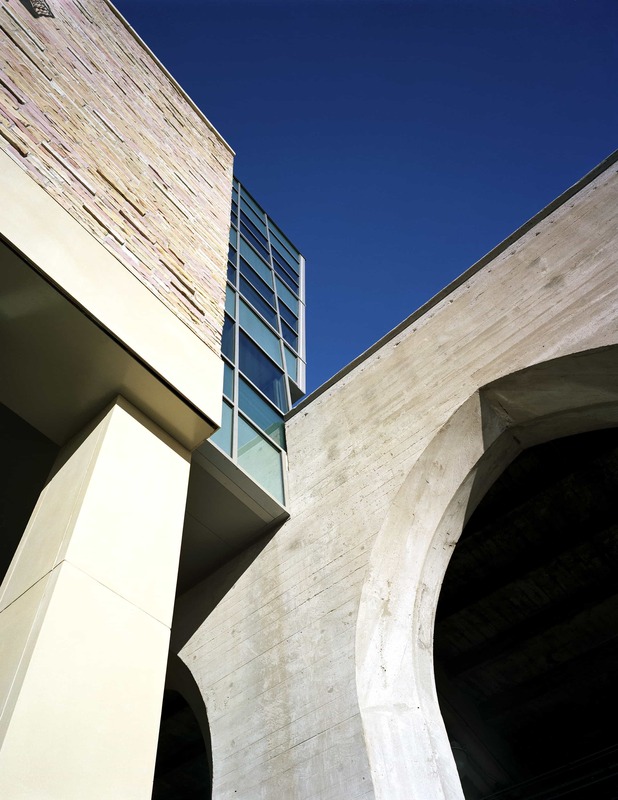 The new structure is clad in stone and limestone panels to echo the architectural aesthetic of the campus, and overall capacity was reduced to 30,000 seats. 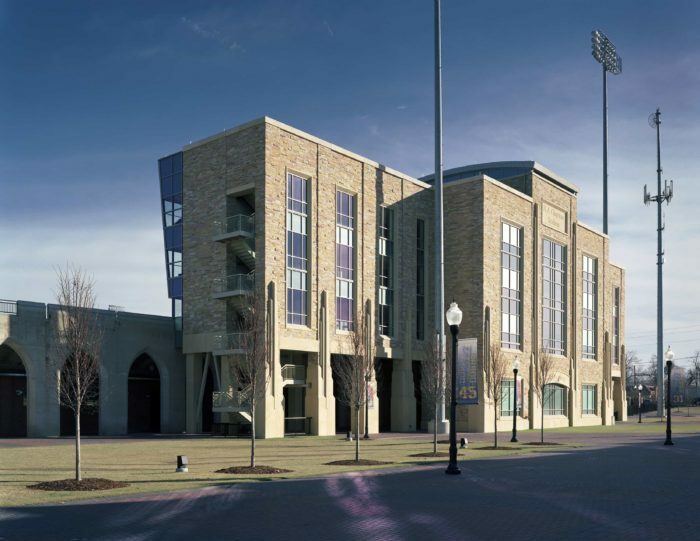 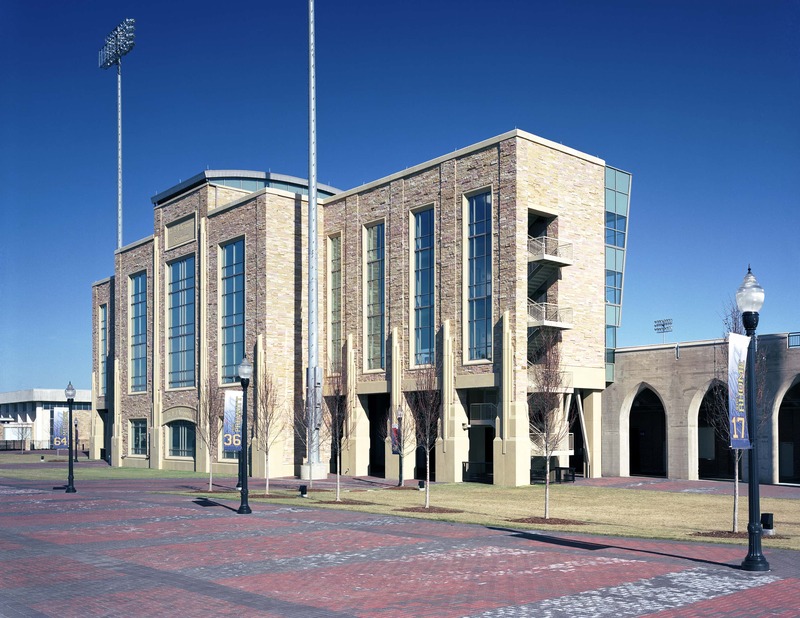 Wallace Engineering also provided structural engineering services for the Case Athletic Complex, a 30,000 square foot facility that replaced the north end zone stands of the football stadium and was the first phase of the H.A. 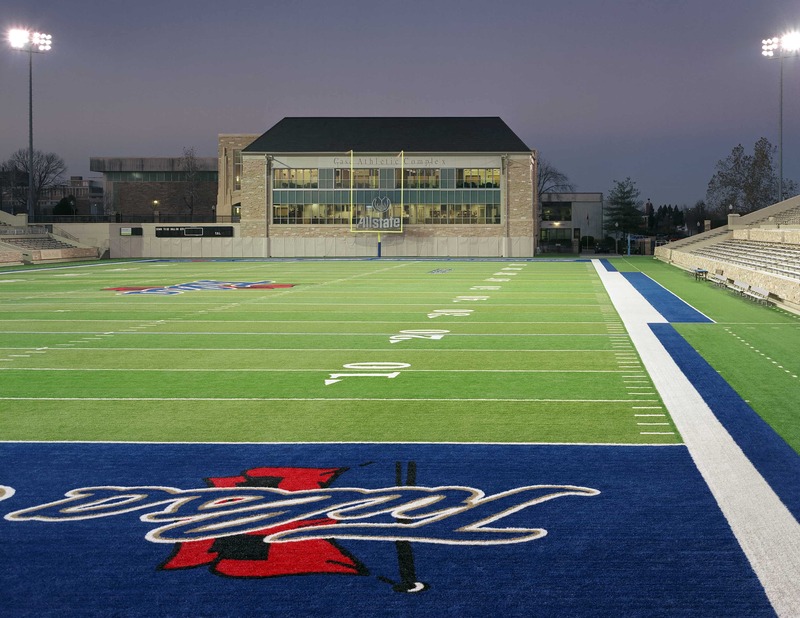 Chapman Stadium renovation. 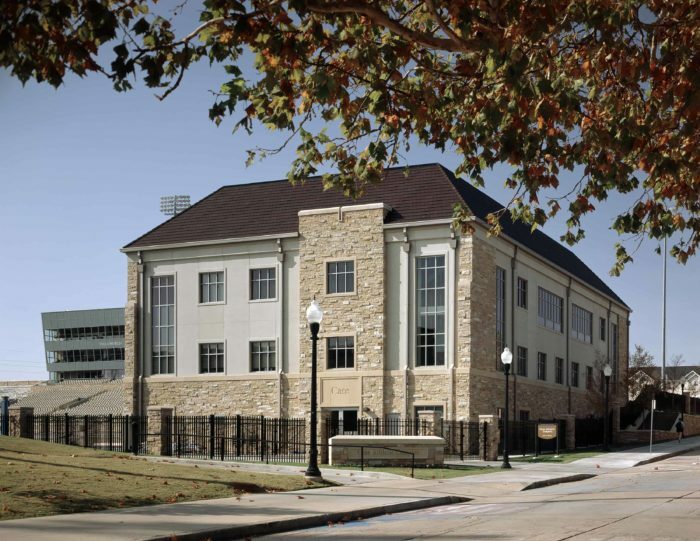 The Case Complex houses football coaches’ offices, meeting rooms, game day suites, an academic support center for all student-athletes, football locker room and equipment room, athletic training room, video production suite and the Lettermen’s Club suite.